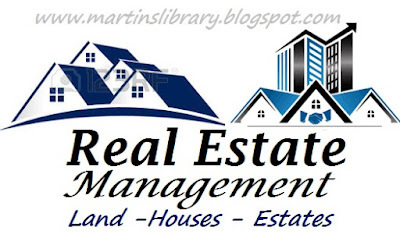 Property and Real Estate Management's Advertisement - This is sponsored post and an ADVERT from Portal Realities Ltd and Tinosomat Impex Limited. We sell Estate lands in various places in Abuja an Lagos. There are of sizes. The size of Lugbe land is 648/sqm. The price is N6 million for outright. 7.2 million for installment. And it must be paid within 12 months. the main rail way terminal is a neighborhood. They are places for Bungalows and Duplexes, depending on what you want. The neighborhood of kuje land is the centenary city. A massive project that is on the way. They are of 3 sizes, 750sqm, for 4bedroom duplex with 2BQ. 6000 Sqm, for 3 bedroom and a penthouse with 1BQ. And 500sqm for 2bedroom and a penthouse with 1BQ . The 500 sqm, goes for N1.837,500. If you're going for outright, you have a 5% discount. Installment package, you pay a N100,000 initial deposit then N69,500 for 25 months. The 6000 Square meter goes for N2,152,500, for outright you also have a 5% discount. Installment package you pay a N100,000 initial deposit, then N82,100 for 25 months. The 750sqm goes for N2,625,000. For outright you also have a 5% discount. Installment package also is a N100,000 initial deposit, then a N101,000 for 25 months.Pay and get you papers immediately. Limited plot available. Limited plot available at Broadview Estate Ludge, Abuja. Broadview Estate is unique because it is strategically located and its proximity to town. it is located in ludge, Abuja phase5. if your are familiar with Abuja , you can access via CITEC EBORA and also through airport road. it is behind the main Rail Way Terminal and to an extent Centenary City is a neighborhood. all social amenities that made it a country of its own available. is 648/sqm. Price: 6 million outright and 7.2million for installment within 1year. We have bungalows and duplex plot available. For inquiries: Please contact: Portal Realties Ltd.
Joseph : 08063319323 OR 07055248174. Portal House, 5B Adedeji Close, Opp Standard Chartered Bank, Opening, Lagos. 3rd Floor, Lagos State House, CBD, FCT, Abuja.